Sambal is a hot sauce typically made from a mixture of the variety of chili peppers with secondary ingredients such as garlic, ginger, shallot and with any vegetable. Origin Indonesia. Sambal, The taste which crossed the border prepared in Chettinad as a special recipe. Traditional sambals are freshly made using traditional tools, such as a stone pestle and mortar. Sambal can be served raw or cooked. The chili pepper, garlic, shallot and tomato are often freshly ground using a mortar. Sambal might be prepared in bulk, as it can be easily stored in a well-sealed glass jar in the refrigerator for a week to be served with meals as a condiment. However, some households insist on making freshly-prepared sambal just a few moments prior to consuming in order to ensure its freshness and flavor. Source -Wikipedia. 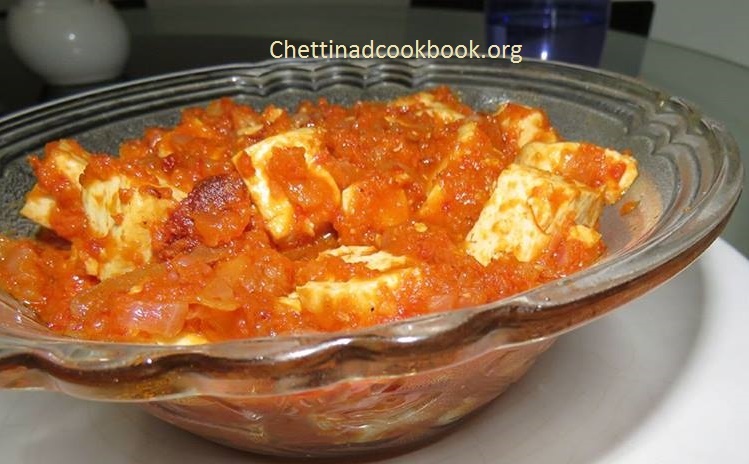 About Tofu: Tofu is a good source of protein and contains all eight essential amino acids. It is also an excellent source of iron and calcium and the minerals manganese, selenium and phosphorous. In addition, tofu is a good source of magnesium, copper, zinc and vitamin B1. 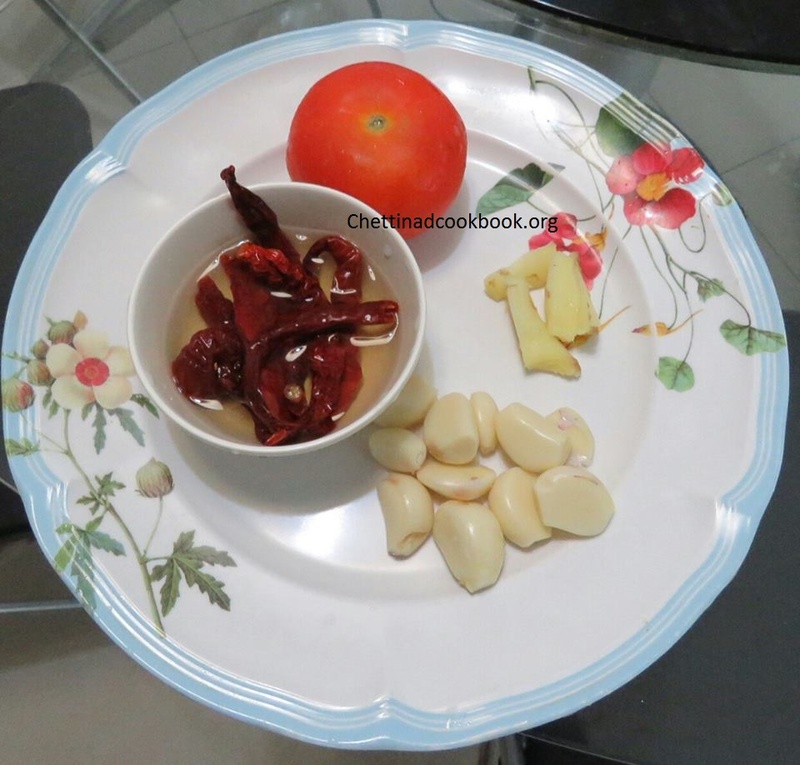 Soak red chillies in warm water for 15 minutes, it helps to grind it to a smooth paste without flakes. Grind all above mentioned items to smooth paste. 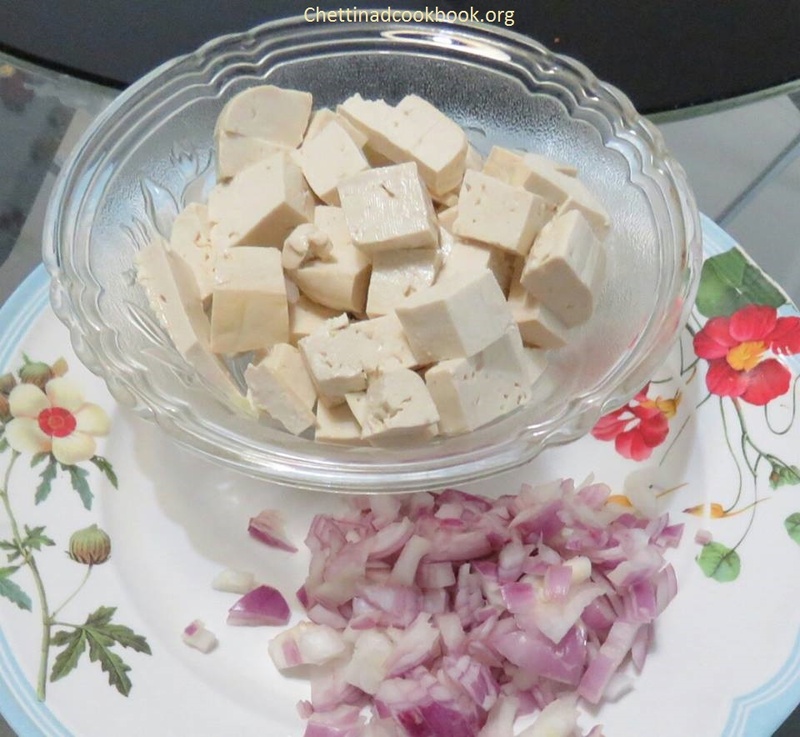 Heat thick bottom pan with oil saute chopped Onion and cube cut tofu to slightly brown color. Transfer to a plate, in the same pan, add the ground mixture and saute till the raw smell vanishes, now add sauteed Tofu and onion to the mixture. Add salt, sugar and chilli paste or powder to it, stir well and allow it to cook in medium flame till the oil floats to the top of the sambal. Add few drops of Lemon juice if you prefer. Spicy and aromatic sambal is ready to serve with plain cooked rice or rotti.